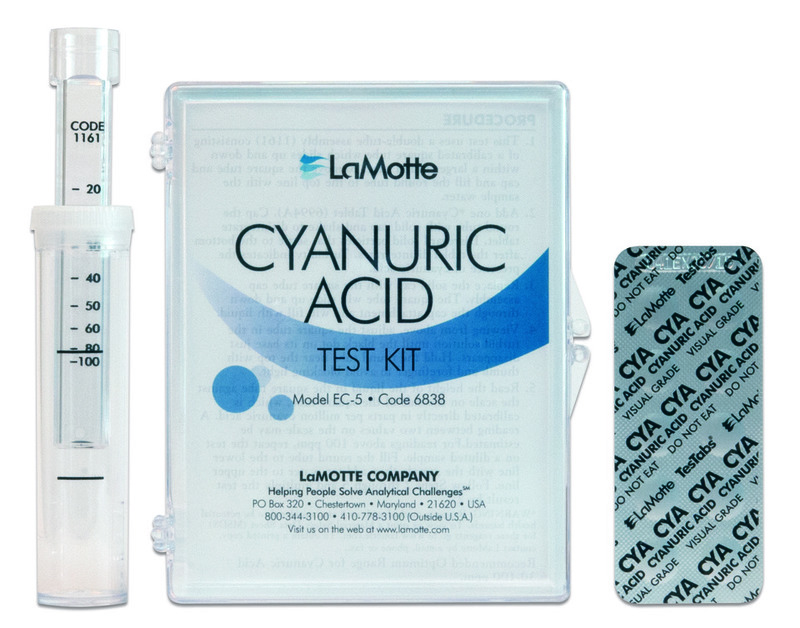 The Cyanuric Acid (Stabilizer) test kit measures Cyanuric Acid levels at 20, 30, 40, 50, 60, 80 and 100 ppm. The kit includes 50 Cyanuric Acid visual grade TesTabs? tablets that are added to a test tube. Once the tablet disintegrates then the analyst would look down through the test tube and measure the Cyanuric Acid level by the disappearing dot method.